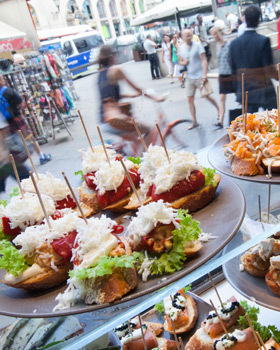 A festival of pinchos (small tapas) in the most popular Basque bar in Madrid. 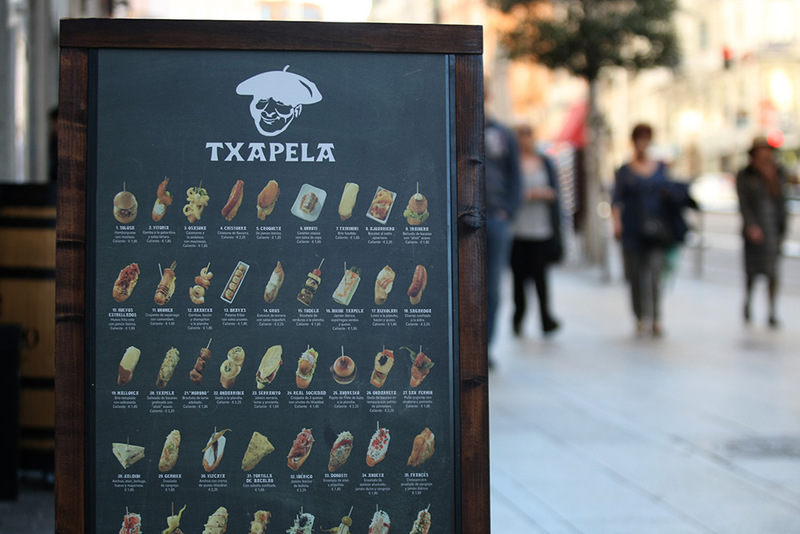 Txapela Restaurant is known for its high quality. 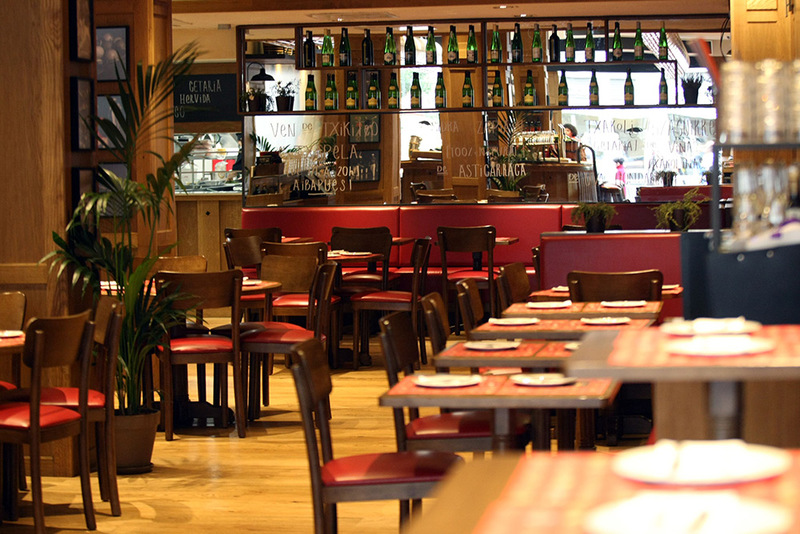 The bar includes “Txiquitos” of txacoli (white wine) from Guipúzcoa and authentic cider from Astigarraga. You can eat at the bar, at the table & also to take away. The menu includes seven pinchos with a drink (water, soft drink or beer) and ice cream.